Before the holiday preparations completely sweet me away, I’m trying to catch up a bit on all the blogs! 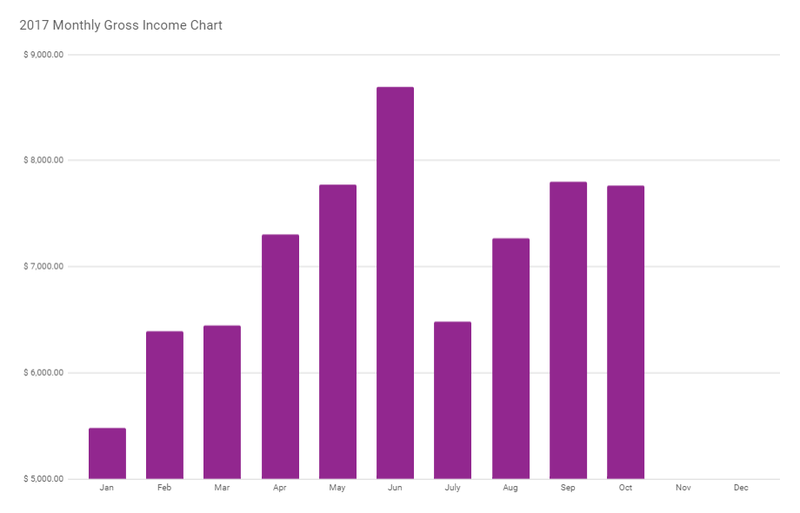 So here’s my October 2017 Blogging Income Report! The goal I set for 2017 was to increase my gross income every month this year. I didn’t set a specific percentage (although that’s something I may need to think on), but I just wanted to see steady growth for the whole year. This goal has clearly not happened. Things were going great until June. Then I hit a (normal-for-me) summer slump and I can’t seem to bounce back. After the July low, my numbers slowly climbed back up, but now September and October have been almost identical (within $30). This is especially frustrating because October is usually through-the-roof on traffic for me. My candy apples post is a huge traffic driver that usually brings in piles of October (pre-Halloween) traffic. This year I didn’t see that jump. In addition to that, I started producing a few videos for my recipes posts. In theory, video on social media plus my blog should have increased my traffic, engagement and shares. I haven’t really seen any indication of that happening for me either. So… having said all that, I’m going to keep pressing on and hoping that November and December are better for the blogs! I’ve also started pursuing some other streams of income that I hope to be able to market to my audience soon. 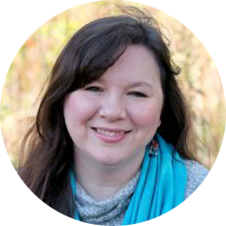 Please don’t misunderstand – I’m incredibly grateful for my blogs and my income and I recognize that there are so many people who would love to have this level of income. I get that totally and I do not take it for granted. 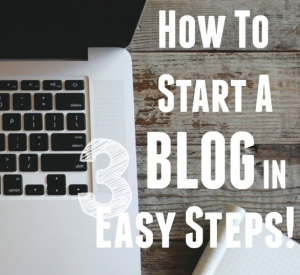 I’m simply frustrated with my lack of growth and hoping to figure out how I can give my blogs a shot in the arm to start growing again! One more thing I want to mention. 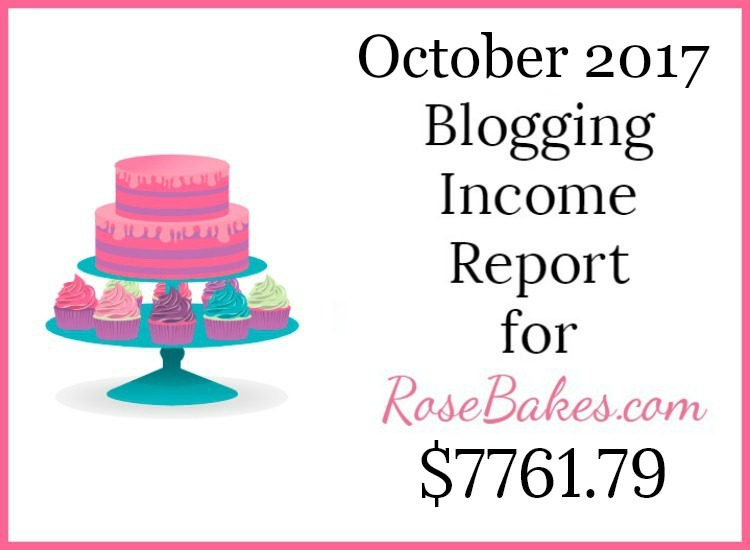 The majority of this income comes from Rose Bakes, but I do earn small amounts from this blog (CakeBlogging.com) and my personal blog, RoseAtwater.com. So far, the income from the other two is tiny compared to Rose Bakes but I do lump it altogether for these reports. Hopefully one day Cake Blogging & RoseAtwater will warrent their own reports, but as of now, it’s not worth separating out. Also, these reports do not include the income from my real-life cake business. NOTE: In October I also purchased a new cell phone and laptop for my business. This totaled $2485.00 which I paid for out of my business savings account. It’s not a regular or monthy expense, so that’s why it’s not noted here. « How you can learn to take better pictures for your blog!